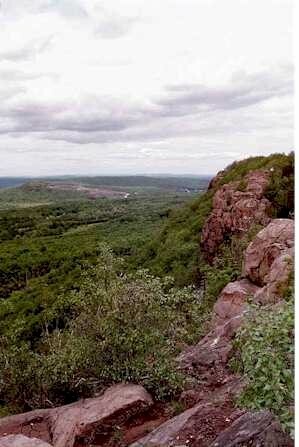 On Saturday, May 3, Beth Lapin will be offering a hike on Higby Mountain as part of the City of Middletown’s rescheduled Earth Day Celebration. We will have a rare opportunity to access the Mattabesett Trail through the city’s water department lands that include Higby and Adder Reservoirs. Come join her for a three+ hour moderate walk up the eastern flank of the ridge, along the top, where we can snack, and then continue our loop to the water treatment building. Wear hiking shoes (some wet areas), bring a snack and water, camera, binoculars if desired. Directions: on Route 66, about a quarter-mile west of the junction with Higby Road (Red Dog Saloon), look for an unmarked driveway on the right (north) with an orange cone that leads to the reservoir. Follow it to the buildings, where there are restrooms and parking. Please let her know (Beth@HealingNatureCT.com) if you are planning to join us. Questions: 860 398 4470; that morning: 860 262 2788.